456 pages | 130 B/W Illus. With the new developments in computer architecture, fairly recent publications can quickly become outdated. Computer Architecture: Software Aspects, Coding, and Hardware takes a modern approach. This comprehensive, practical text provides that critical understanding of a central processor by clearly detailing fundamentals, and cutting edge design features. 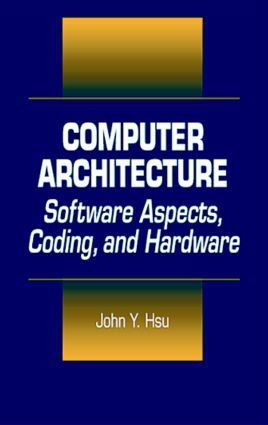 With its balanced software/hardware perspective and its description of Pentium processors, the book allows readers to acquire practical PC software experience. The text presents a foundation-level set of ideas, design concepts, and applications that fully meet the requirements of computer organization and architecture courses. The book features a "bottom up" computer design approach, based upon the author's thirty years experience in both academe and industry. By combining computer engineering with electrical engineering, the author describes how logic circuits are designed in a CPU. The extensive coverage of a micprogrammed CPU and new processor design features gives the insight of current computer development.